This was an interior design project for one room in an apartment complex occupied by a couple. The client was nearing retirement age and wanted a flexible plan that could respond to their changing lifestyle in the future. 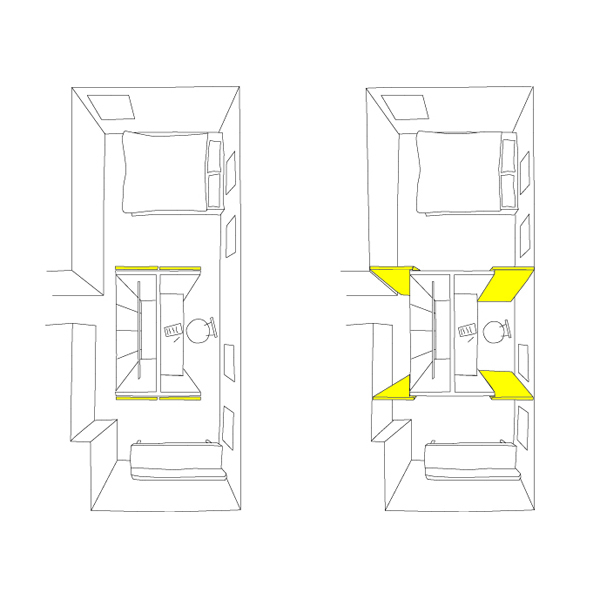 Four “movable walls” are arranged in the center of the room. 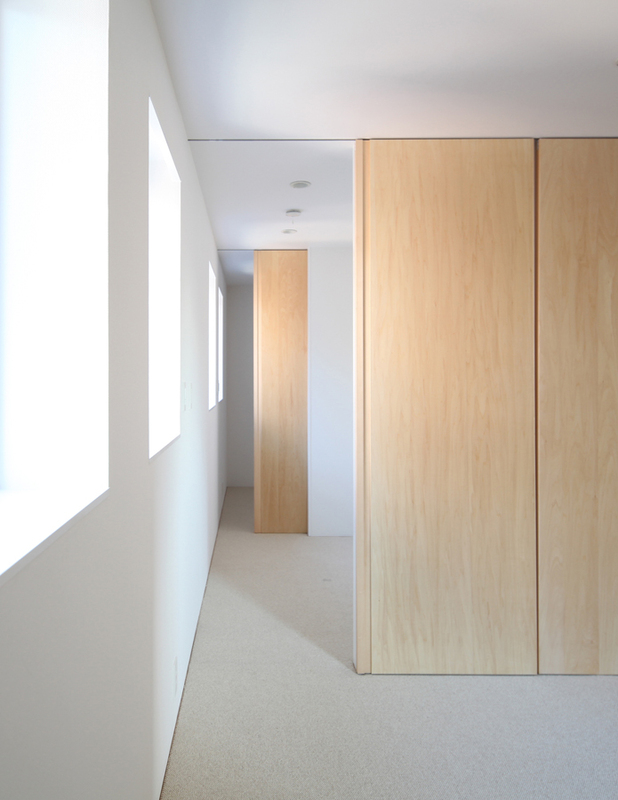 Opening and closing these walls allows the room to be partitioned off into a bedroom, study and guest room. When all the walls are opened, the space becomes one brightly lit, open room. At the same time, it can also be partitioned off into separate rooms as necessary. The “movable walls” are made with basswood. Slits are cut into the ends of the flush doors to form handles that make the panels less door-like and more like a wooden wall.